This game is a new innovative puzzle game. The combination between logic and velocity I think. It's look alike Cut the Rope game play but not same. When Cut the Rope ask us for cutting the rope of the candy to fed Nom2. 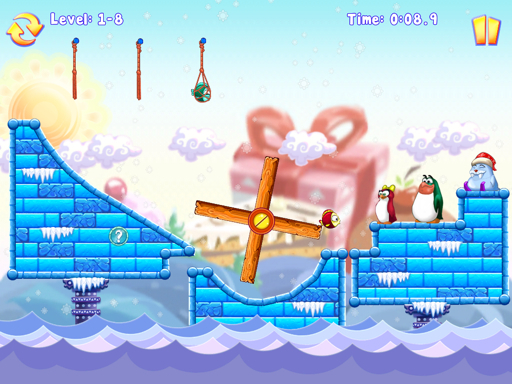 In this game, we must click the fish net to feed the penguins for feeding IceCream to Walrus. You must do that as fast as possible for the best medals. It's become more difficult in more levels you play. 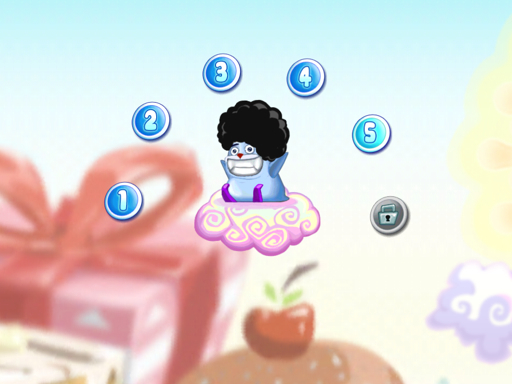 Fortunately, there's a hint video for help you solve the game, but you must pay 3 fishes to unlock the hint. Every best time you got will unlock a new action of the Walrus or other friends. See the unlock actions in Friends site. Every friend has 6 different actions. Unlock the action every you finished the level. 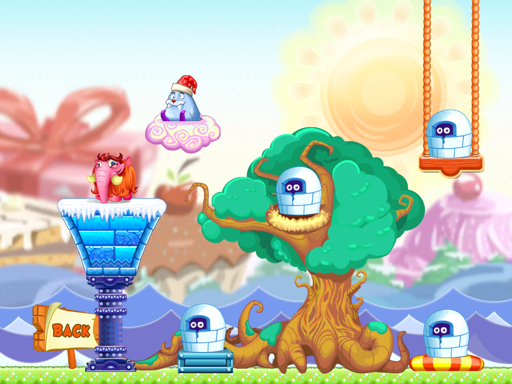 There are 6 worlds with 12 stages inside come with 2 bonus levels. Total it has 64 levels. This game is quite difficult but so challenging. This game will bring you to play and solve every puzzle more and more. Come with nice graphics makes your gaming experience more pleasant. This game won't let you happy after your victory.... Not as easy as it looks. 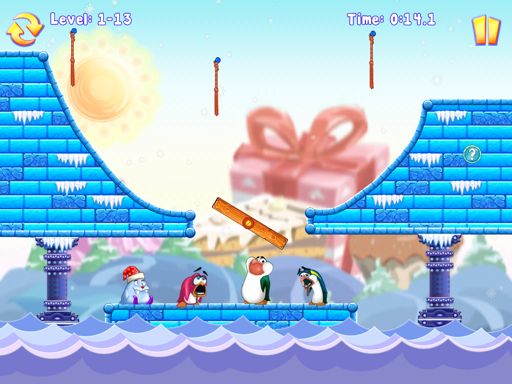 You must feed the penguin with the match color. Blue fish for blue penguin, green for green and red for red. Every success feeding a penguin, you will get ice cream as a result for feeding your friends (walrus, mammoth, etc.) 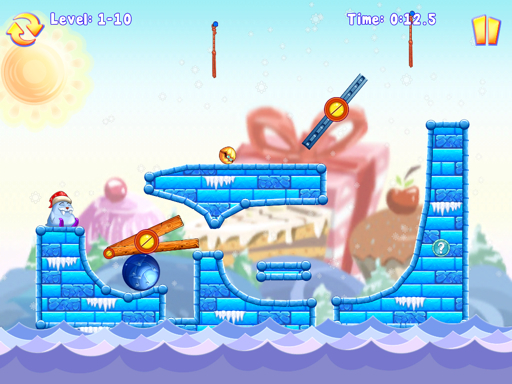 to complete the level. Huff... 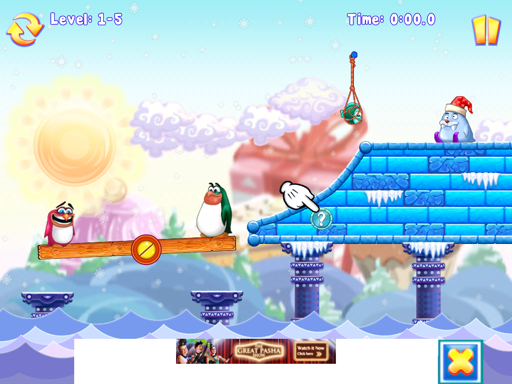 Unfortunately, this game has ads.... Quite big banner ads... Though, that's not too much annoying. You must pay at least $0.99 to remove the ads n you get 30 fish too for unlock the second new world. The cost will increasing as you unlock the new one. Get the fishes is kinda hard too. In addition if you use the hint button. 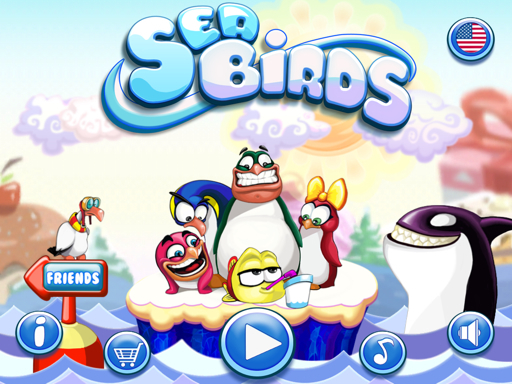 You must replay the game sometimes for gaining more fishes to unlock the new world..